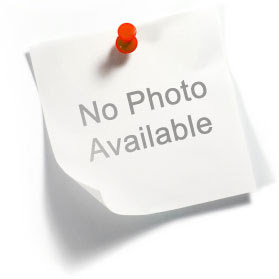 Al-Haq is an independent Palestinian non-governmental human rights organisation based in Ramallah, West Bank. Established in 1979 to protect and promote human rights and the rule of law in the Occupied Palestinian Territory (OPT), the organisation has special consultative status with the United Nations Economic and Social Council. Al-Haq documents violations of the individual and collective rights of Palestinians in the OPT, irrespective of the identity of the perpetrator, and seeks to end such breaches by way of advocacy before national and international mechanisms and by holding the violators accountable. The organisation conducts research; prepares reports, studies and interventions on breaches of international human rights and humanitarian law in the OPT; and undertakes advocacy before local, regional and international bodies. Al-Haq also cooperates with Palestinian civil society organisations and governmental institutions in order to ensure that international human rights standards are reflected in Palestinian law and policies. The organisation has a specialised international law library for the use of its staff and the local community. 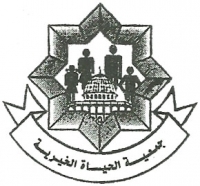 Al-Haq is the West Bank affiliate of the International Commission of Jurists - Geneva, and is a member of the Euro-Mediterranean Human Rights Network (EMHRN), the World Organisation Against Torture (OMCT), the International Federation for Human Rights (FIDH), Habitat International Coalition (HIC), and the Palestinian NGO Network (PNGO). Al-Haq is an independent Palestinian non-governmental human rights organisation that works in the Occupied Palestinian Territory (OPT) to uphold the rule of law and respect for human rights. Al-Haq focuses on monitoring, documenting, and advocating against the violations of the individual and collective rights of Palestinians under international law, irrespective of the identity of the perpetrator, using both national and international mechanisms to: influence policies at the national and international levels; and hold perpetrators accountable with the intention of promoting respect and adherence to the rule of law and remedying violations. Al-Hares Center is an independent, non-profit Palestinian organization with the aim of spreading the values and culture of democracy, civil society and human rights in Palestinian society, and encouraging the participation and equality of Palestinian women. These goals are achieved by organizing conventions, workshops, and training sessions, as well as conducting research and scientific studies in the fields of social, economic, political and cultural development. The Center gives special attention to the public's right to access information and to accurate reporting by the media. The Center provides training for Palestinian journalists about investigative reporting to become guards of democracy and witnesses of the transformation towards a Palestinian civil society. Al-Hares’ approach is based on transparency, justice, courage, professionalism and the values of scientific research. The Center is registered with the Interior Ministry and Media Ministry, and is accredited by the Local Ministry and the Palestinian NGO Network (PNGO). The Center, through its activities and projects, aims to: 1- Promote the culture of democracy in local communities and contribute to the creation of a Palestinian democratic society. 2- Enhance the status of marginalized sectors of society (women and youth) and increase their participation in decisions concerning them. 3- Develop the status of women by promoting equality and developing their role in civil, social and economic life. 4- Promote the values of peace and non-violence in conflict resolution, especially in the context of the Palestinian-Israeli conflict. 5- Empower journalists to become guardians of democracy and sustainable human development. 6- Build the Center's capacities to implement its programs and projects efficiently. Al-Ihsan Charitable Society in Hebron was established in 1983. The purpose behind the foundation of this Society was to care for the old, male and female, who have no supporters to aid them. Another objective was to take care of the disabled children from 3-12 years. Palestinian communities lived many years and still under Israeli occupation, and on the time straggling toward freedom facing many political, social economical and cultural problems which hamper reaching independence. 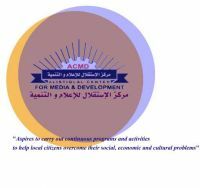 Starting for this background and as an importance patriotism response for supporting Palestinian communities to face these challenges and pass ahead for freedom and independency the idea of establishing Alistiqlal center for media and development "ACMD" arrived. Perhaps one of the most important mechanism for achieving this goals is media and development field, because media have an affected role in crystallization politically, socially, economically awareness within the communities with leading role of patriotism development successes, also leading for development enabling achievements which desire the community steadfastness and abilities enhancing for goals reach. Alistiqlal center is looking for leading part in the field of Media and development, leaning on his capacity, experience of human resources in the center, and from local experienced and academics from the same field, through his own strategy which came from the Palestinian community confidentiality passed on local awareness, community development for drawing the Palestinian community present and future life. Alistiqlal Center Aims: 1. Promoting local leadership. 2. Presenting the current problems the Palestinian people facing by media. 3. Developing the local community culturally, socially and economically; 4. Searching and analyzing the political movement in the Palestinian community. 5. Designing and implementing sustainable projects and programs to meet the direct need of the local community. 6. Cooperating with local, Arab and international relevant media centers and media development organizations. 7. Exchanging information, visits, experience, and points of view with local, Arab and international similar organizations. 8. Helping women sector in gaining skills which helps her to participate better politically, socially, and economically and entering social life. 9. Protecting children issues for better life secure, tranquility, and healthy bran, body growth. Alistiqlal Center Aims: 1. Promoting local leadership. 2. Presenting the current problems the Palestinian people facing by media. 3. Developing the local community culturally, socially and economically; 4. Searching and analyzing the political movement in the Palestinian community. 5. Designing and implementing sustainable projects and programs to meet the direct need of the local community. 6. Cooperating with local, Arab and international relevant media centers and media development organizations. 7. Exchanging information, visits, experience, and points of view with local, Arab and international similar organizations. 8. Helping women sector in gaining skills which helps her to participate better politically, socially, and economically and entering social life. 9. Protecting children issues for better life secure, tranquility, and healthy bran, body growth. 10. Protecting environment as main principle for sustainable development.